There are scenarios where you might want to add more than one author names for a Workbook in Excel. You can do that easily in Microsoft Excel by using the Related People options. 1. 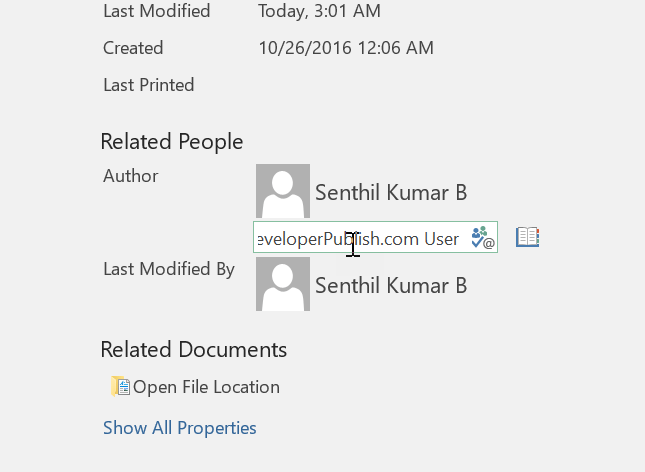 Click File –> Info from the Office Ribbon and then click the “Add an author” under the Related People section as shown in the screenshot. 2. Add an author option is a Textbox where you can provide the name of the author. Enter the author name and press the enter key. 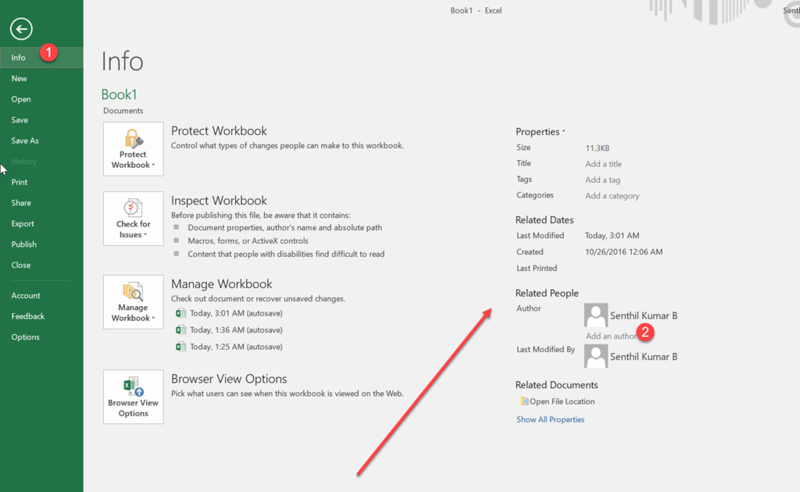 You should immediately see the additional author name being set for the Excel Workbook.